Turkey’s main opposition parties are expected to announce a broad electoral alliance before general elections in June, a step that could pose a significant challenge to the dominance of Recep Tayyip Erdoğan’s ruling party. The deal, which will include the country’s largest secular and nationalist opposition blocs, is likely to dilute the Justice and Development party’s (AKP) control of the legislature and overcome the regulation that any party must receive 10% of the national vote to win a seat in parliament, a rule that has reinforced Erdoğan’s long-running majority. The coalition is expected to be formally announced on Thursday and will include the Republican People’s party (CHP), the İyi (Good) party, the Islamist Saadet party (SP) and the Democrat party (DP). Turkey’s electoral system awards seats based on a proportional representation formula that tends to reward larger parties and coalitions. Parties that fail to achieve the 10% minimum of the national vote have any seats won reallocated to others that meet the threshold. Last month the AKP and the nationalist MHP announced an alliance, amid fears that the latter would fail to garner enough votes to enter parliament after backing Erdoğan’s re-election. 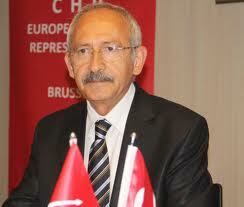 But the opposition CHP’s move has complicated matters for the ruling party, allowing them to also bypass the threshold and to potentially dilute the AKP’s parliamentary majority.